BIC 4 Colours – What’s Going On Inside? 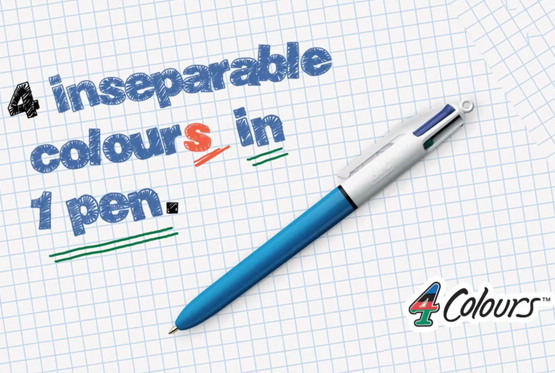 The BIC 4-Color ballpoint pen is definitely a classic in the world of school supplies. Many of you owned at some point or still owns a BIC 4-Color pen but, have you ever wondered what was going on inside? I’m sure you did! In their latest campaign, set to be launched on March 4th, BIC depicts “the flashy life of 4 inseparable flatmates”: Blue is the pretentious hardworking color, Red prefers corrections, Black is the bad-tempered one mainly used when Blue is not available and Green is the lazy one rarely on a “work mission”. The French ad agency TOY and PR agency Santa Bla Bla also brought to life a more “funky” version of the pen including light green, light blue, purple and pink. Check out the three released spots and read about the Facebook Integration fail in the last section of this post. That classical moment when you try to get two colors out simultaneously! 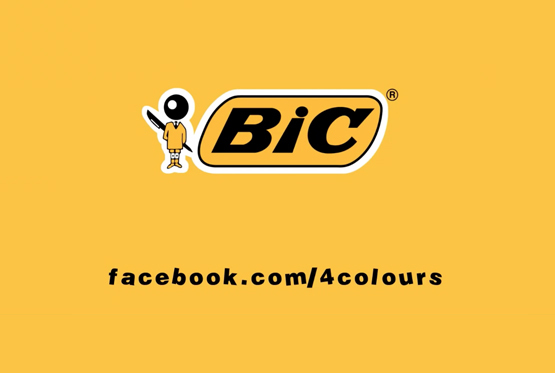 In this integrated campaign, those shorts are supposed to lead you to the BIC 4 Colours Facebook page but, it seems like they failed to do so by showing a wrong URL at the end of the films. While the correct URL is Facebook.com/BIC4Colours, the one actually showing leads to the inactive page of a company called “Four Colours Media Solution”. Here comes the following question: Do people usually input a Facebook page URL or simply acknowledge the existence of the page and search for it directly once on Facebook? Next Post Aston Martin Pre Owned Ad: Copied And FAKE!